We are delighted to announce that Aleksandar Savkov, one of prof. Cassell’s PhD students working with primary care records, is the runner up in this year’s PGR poster contest at the University of Sussex. The poster titled Extracting Information from GP Notes Text shows his research proposal and progress so far. Members from the Patient Records Enhancement Programme (PREP), a multidisciplinary joint research project whose main partners are Brighton and Sussex Medical School, the University of Sussex and the University of Brighton, recently attended a parliamentary reception and exhibited a poster which demonstrated the power of data for research. The All Party Parliamentary Group (APPG) on Medical Research hosted an event in July at the House of Commons where MP’s and Lords joined data researchers to see how data can be used to transform our understanding of conditions and help us improve healthcare. The event aimed to show parliamentarians why data matters and set out what they can do to help make the most of data to benefit patients, society and the economy. View the full version of the APPG Summer Reception brochure. 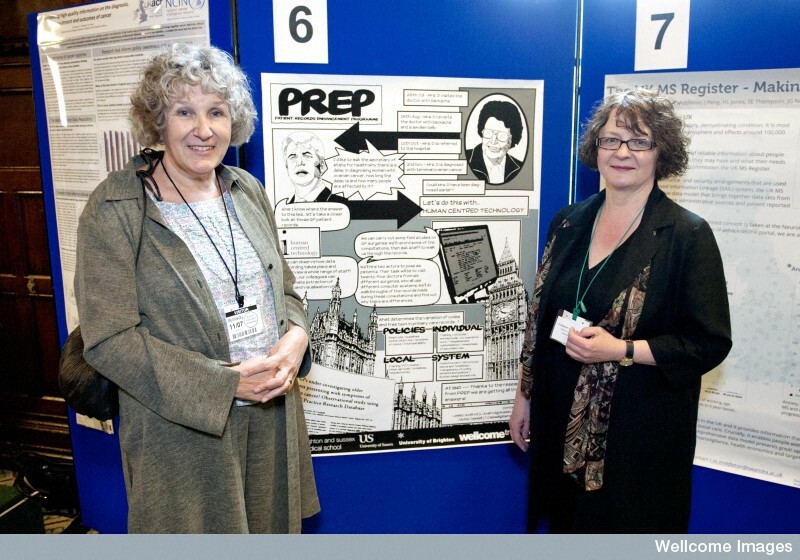 PREP is particularly interested in developing techniques for using free text information, which is hard to access, and analyse, and limits the use of the records to answer public health questions. User-centred studies of how GPs record information, using social science techniques of observation and analysis, computational linguistics – using computers to analyse textsanalysis of large datasets.Novel methods of visualizing (showing) health records to researchers and others who want to use them. The APPG on Medical Research includes MPs and peers from across the political parties. Established in December 2005, it provides a network for Parliamentarians with an interest in the medical research sector. The APPG is supported by the Medical Research Council, the Academy of Medical Sciences, the Association of Medical Research Charities, Cancer Research UK, and the Wellcome Trust. 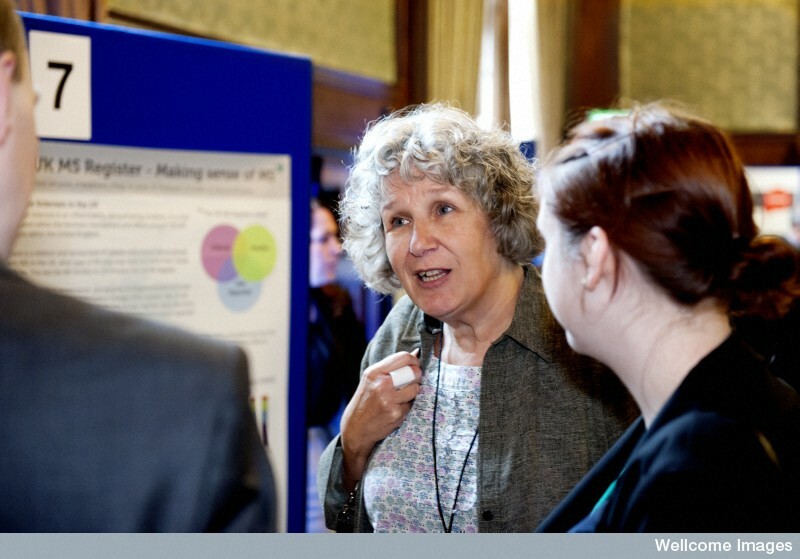 For follow up information about the APPG on Medical Research Summer Reception, please visit the AMRC Policy Blog. Dr. Rosemary Tate will be giving a presentation entitled “Developing methods to maximise the use of large primary care databases for research” at a meeting hosted by Kings College London called: “Understanding the Record: an inter-disciplinary colloquium on the problems and opportunities for innovative healthcare recording systems”. This meeting will take place on 28th June at BMA House, Tavistock Square, London. We are delighted to announce the acceptance of a new paper entitled “Annotation as a Scientific Task” in the proceedings of the 8th International Conference on Language Resources and Evaluation (LREC 2012), Istanbul. Annotation studies in CL are generally unscientific: they are mostly not reproducible, make use of too few (and often non-independent) annotators and use guidelines that are often something of a moving target. Additionally, the notion of ‘expert annotators’ invariably means only that the annotators have linguistic training. While this can be acceptable in some special contexts, it is often far from ideal. This is particularly the case when subtle judgements are required or when, as increasingly, one is making use of corpora originating from technical texts that have been produced by, and intended to be consumed by, an audience of technical experts in the field. We outline a more rigorous approach to collecting human annotations, using as our example a study designed to capture judgements on the meaning of hedge words in medical records. We presented the HCI work to the HCI group at the Technical University of Vienna (http://igw.tuwien.ac.at/hci/index.php/about-us). TUV are involved in some interesting work on health and HCI. We had an intensive two day team workshop to synthesise data and plan future dissemination and papers. We hope to reach a wide audience, so to start with, we are writing one journal paper aimed at General Practitioners and another aimed at social scientists. On the HCI side we are writing a paper for submission to a conference. We have several other potential papers in the pipeline. We are planning a series of workshops to feedback to participating GP surgeries and their staff. Dr Liz Ford and Dr Leon Barker will both be presenting posters on PREP’s behalf at the Infectious Disease Research Network’s (IDRN) Primary Care Databases Symposium taking place on 26th – 27th January. Dr Ford will be presenting a poster titled “GP patient records: How do keywords in free text supplement or validate coded information when studying the timing and incidence of rheumatoid arthritis diagnosis?” and Dr. Barker will be presenting a poster titled “Evaluating the merits for representing patient data in temporal or non-temporal form”. Dr. Rob Koeling presented a paper entitled ‘Automatically Estimating the Incidence of Symptoms Recorded in GP Free Text Notes’ at the 20th ACM International Conference on Information and Knowledge Management as part of the Managing Interoperability and compleXity in Health Systems Programme (MIXHS), 24th – 28th October 2011, Glasgow UK. Using the UK General Practice Research Database (GPRD) and the coded data supplemented by free text (physicians’ notes and letters), this paper looks at the annotation of 344 womens records in the year prior to a diagnosis of ovarian cancer. By developing a method for automatically detecting mentions of symptoms in text, this lead to an estimation of an incidence of five commonly presenting symptoms using: (1) coded symptoms, (2) codes augmented by symptoms automatically extracted from text, and (3) a ‘gold standard’ dataset of codes and text tagged by three clinically trained annotators. The estimates of incidence of each symptom increased by at least 40% when coded information was enhanced using the manually tagged free text. Our automatic method extracted a significant proportion of this extra information, leading to a straightforward approach which should be extremely useful for medical researchers who wish to validate studies based on codes, or to accurately assess symptoms, using information that can be automatically extracted from unanonymised free text. The PREP Programme would like to welcome both Dr. Liz Ford and Dr. Leon Barker to the team. Dr. Barker is a Research Fellow in Interactive Visualisation, and Dr. Ford is a Research Fellow in Primary Care Epidemiology. Both will be collaborating withe the team on the Ergonomics of Patient Records programme funded by the Wellcome Trust. Prof. Jackie Cassell from the PREP Programme, will be attending the 10th Anniversary Celebration of the Health Informatics Unit at the Royal College of Physicians.